I had a marvelous day where I spent some time on the Nordstrom website, ate Japanese food with my family and hung out with my favorite wizard (though he always tends to steal my birthday thunder). But, alas, there was no party and there was no CAKE! So here I'm compiling a few of my favorite things into dream party. Happy 24th to me (oops...now you know)! I sometimes wish it could always be valentines day. You heard right, a single girl who LOVES Valentines. I love the colors and the style. 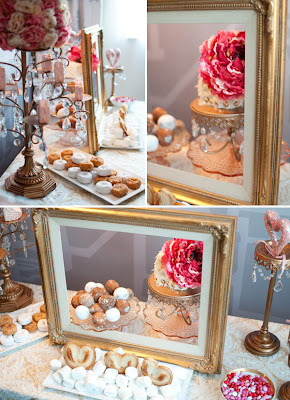 Here we see an adorable dessert table originally used at a Valentines party. 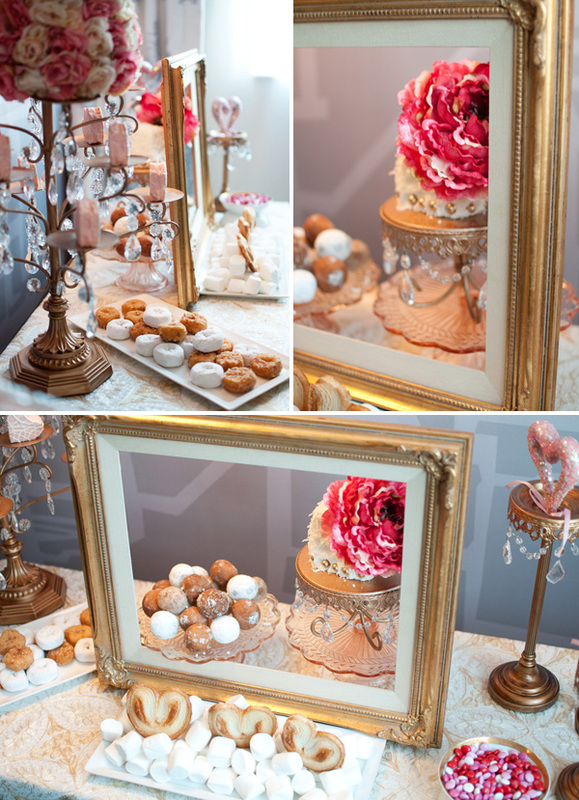 Don't you love the picture frame idea? True Confession: I'm not a huge cupcake person. But, these flower cupcakes are so adorable, I just might make an exception. 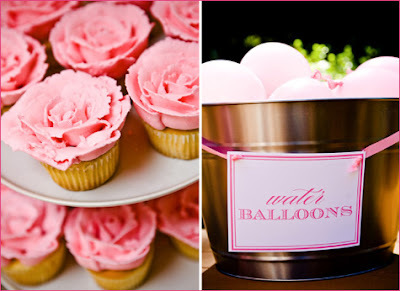 And I love these simple, yet elegant pink water balloons. 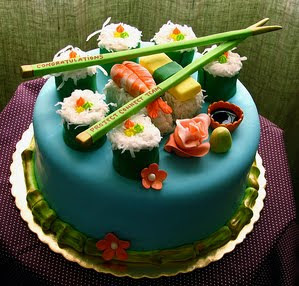 How could I not incorporate a taste of Japan into my "dream birthday?" Having lived in Tokyo for 6 months, I consider myself an honorary Asian. Here we have some delicious dessert sushi! 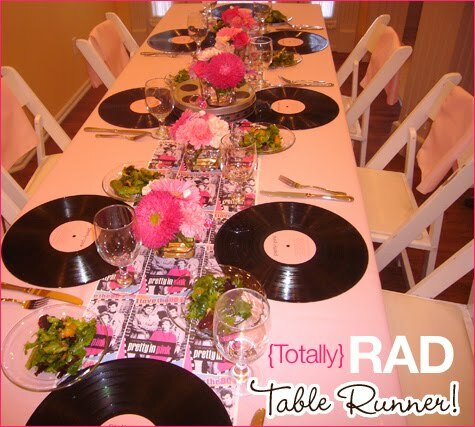 This adorable post from hwtm features the cutest table settings with records as the place mats. What an adorable, retro idea - I love it! 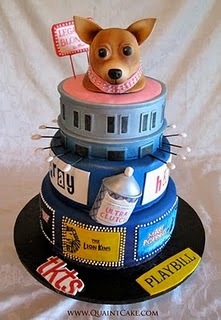 And to top it all off, we have a Broadway inspired cake made brilliantly by Quaint Cakes. Topped with a rice crispy treat Bruiser, I couldn't imagine a more perfect cake. So happy birthday to me and hope you all enjoyed your own July 15th festivities! Where did you find that BRUISER cake?! Omigosh! And I LOVE peonies too! 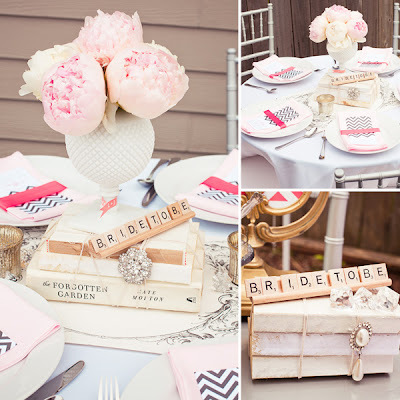 Perfect for pretty parties!! And the flower cupcakes are so cute! Check out the link for "Quaint Cakes" - seriously so cute! !